How popular is the City of Canton, Georgia? According to national census figures, the population of Canton tripled from roughly 7,700 in 2000 to 23,000 in 2010. That’s popular. The popularity of Canton has nothing to do with its former fame for producing denim fabric or the infamous removal of Cherokee Indians in 1838 and the subsequent Trail of Tears death march. 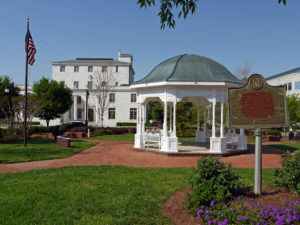 It is the seat of Cherokee County and was named after Canton in China, if you like trivia. Today, the City of Canton is 40-square-miles of nice people, nice weather, nice surroundings and the promise of a nice life. Nothing trivial about that. You may help guide Canton’s future. The City of Canton is preparing an update to our Comprehensive Plan and we need your help. This exciting process will decide key principles that will guide the City’s decision-making for the next 20 years. Your input will help guide preliminary planning concepts to be generated through a series of public meetings to be held throughout the planning process. We are excited to hear your thoughts. The survey is organized in multiple sections: questions about the components of the Plan, demographics, and other general questions. Atlanta is just a freeway away, if you long for bright lights and big cities.